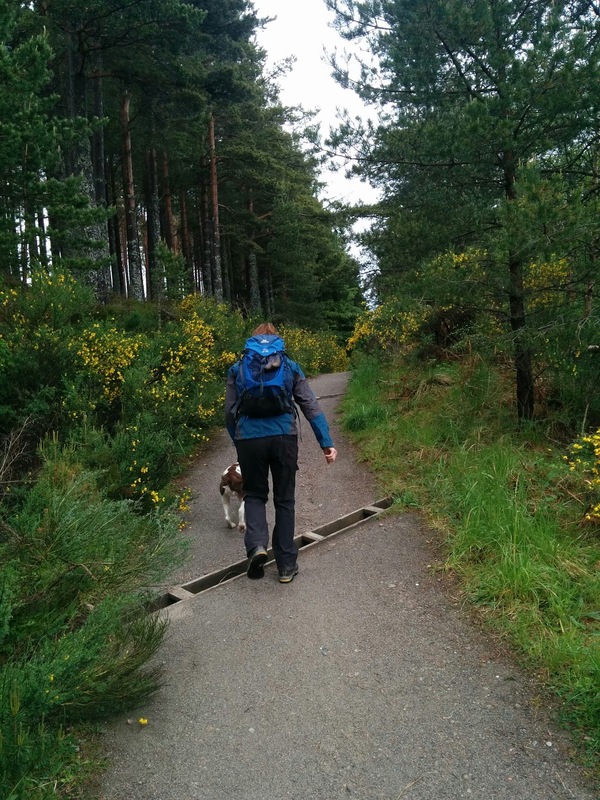 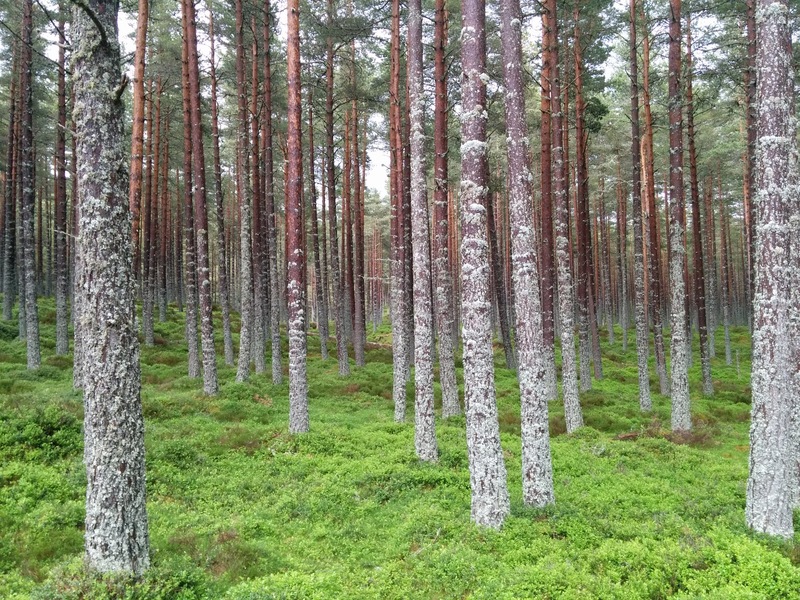 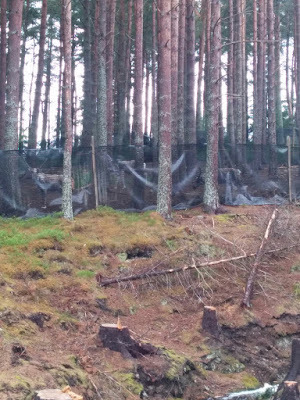 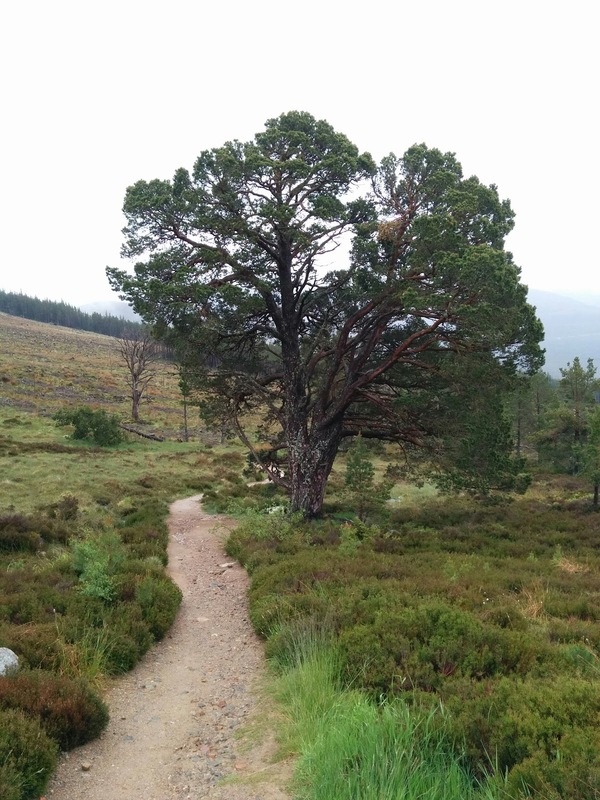 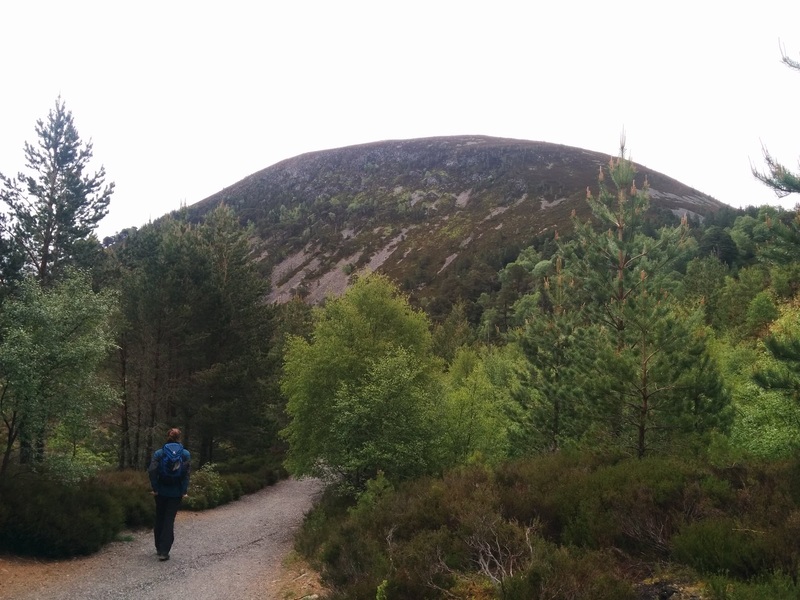 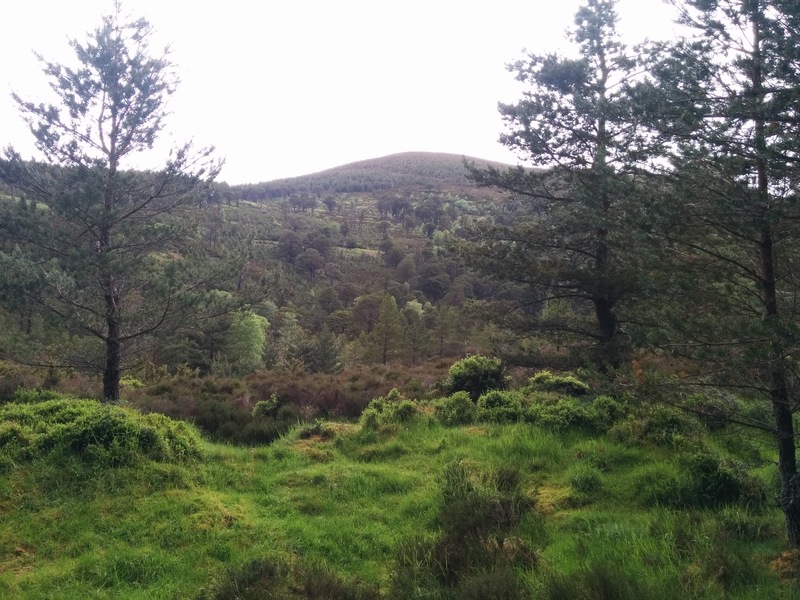 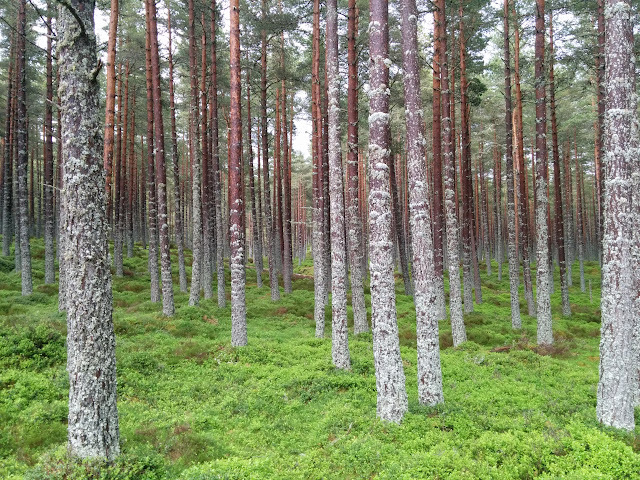 With the longest day of the year upon us we'd arranged an evening walk starting from, and ending back at, Glenmore Lodge and the nearby Reindeer Centre. 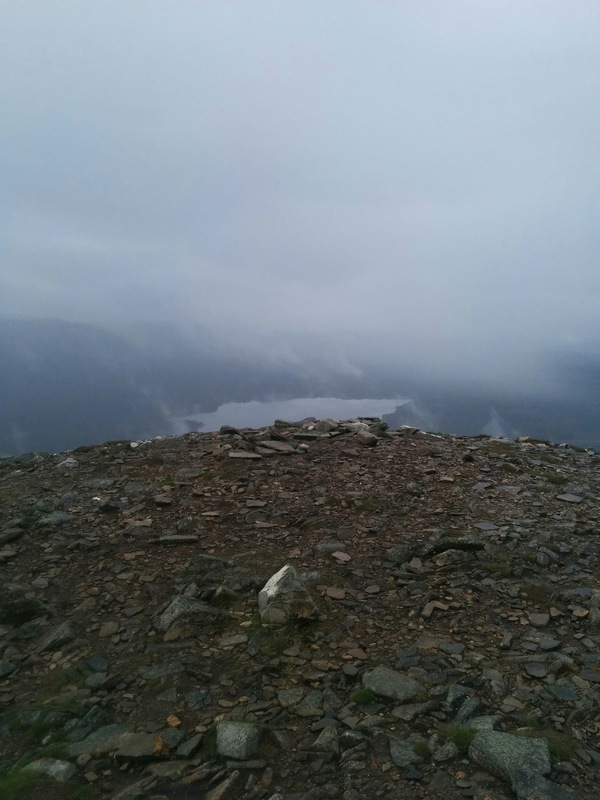 The basic idea was to put Isabelle to bed and head off on the 20 minute drive to Glenmore Lodge where we'd park up and head off on a circular walk taking in the summit of Meall a Bhuachaille (810m) - a walk of just under 6 miles, or with an extra half a mile or so to take in the 2nd summit of Creagan Gorm (732m). 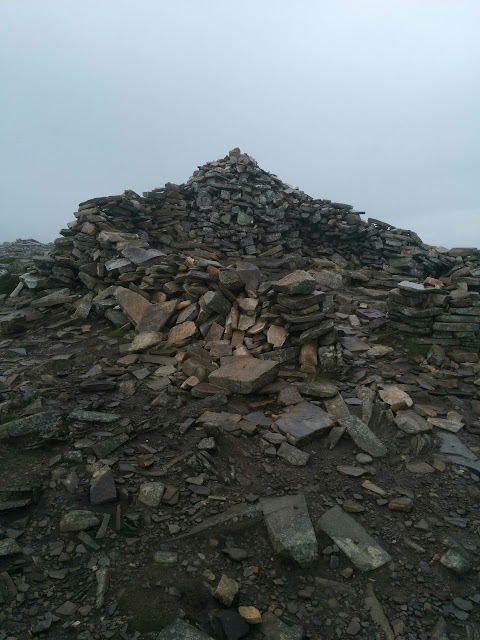 We started at around 8pm although as we were in Scotland and it was the longest day of the year it felt like 10am, it was so light that the head torches we'd packed weren't needed, even at 10pm when we finished!! 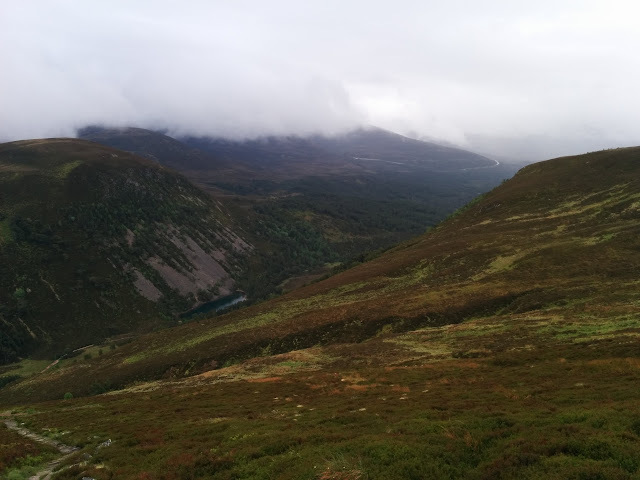 There is parking along the main road to Cairngorm (from Aviemore) outside the Reindeer Centre and we parked up here and walked up the decent path, past the centre and on towards and past Glenmore Lodge. 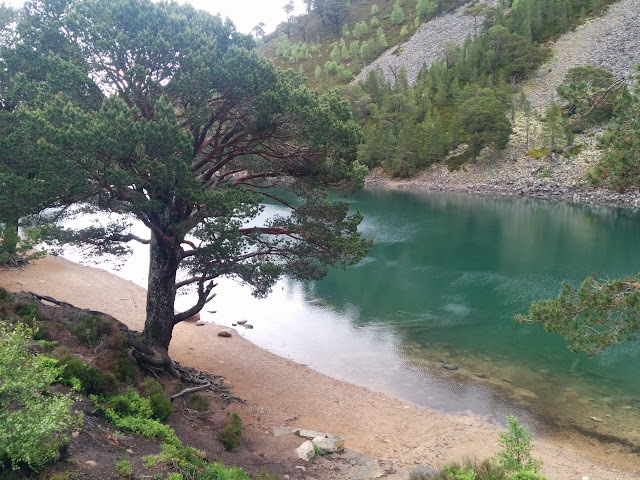 We stopped at the side of the lochan for a few minutes to take a couple of pictures and then to put on waterproofs as the weather had started to turn and the drizzle was threatening to turn into more persistent rain. 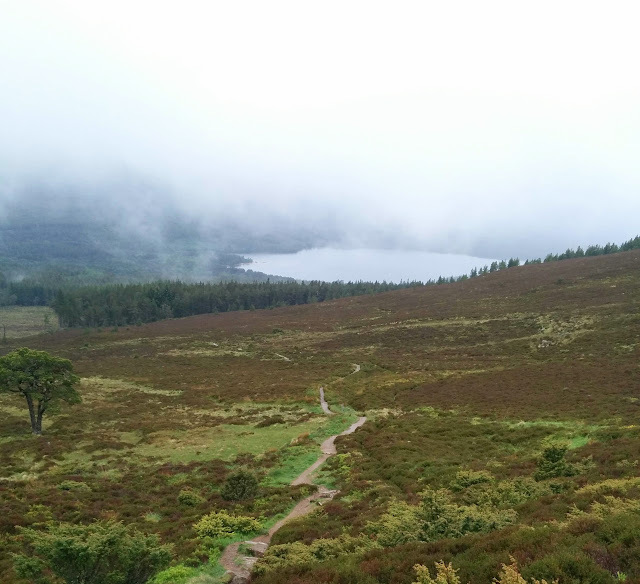 The path from the lochan continues NW and fairly flat until reaching the path junction with options for either Nethy Bridge or Braemar. 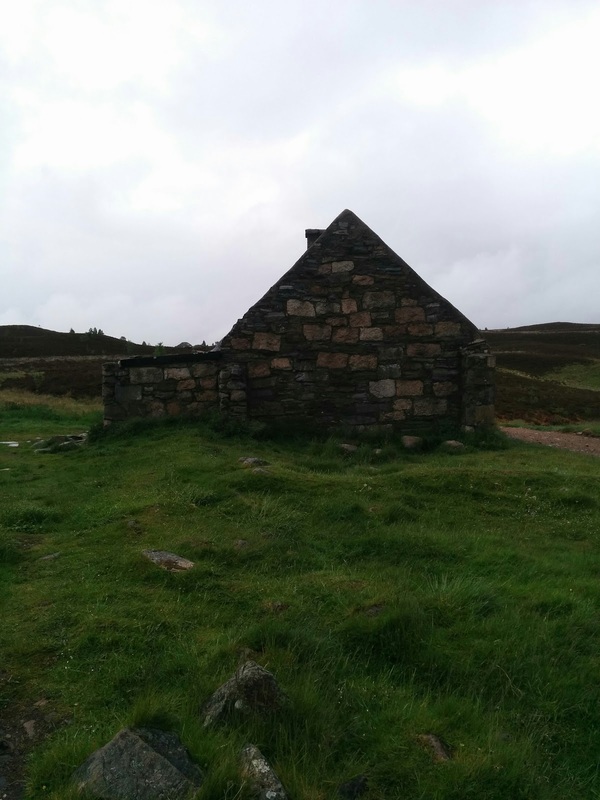 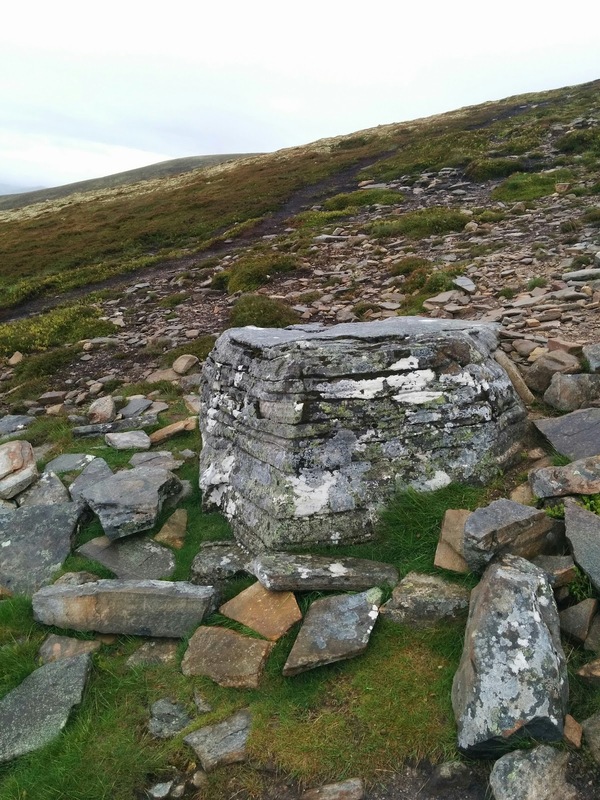 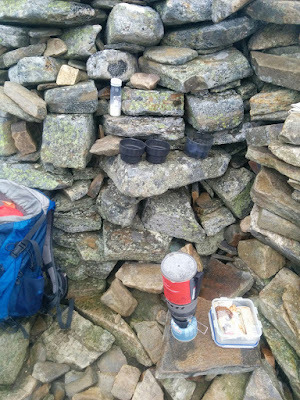 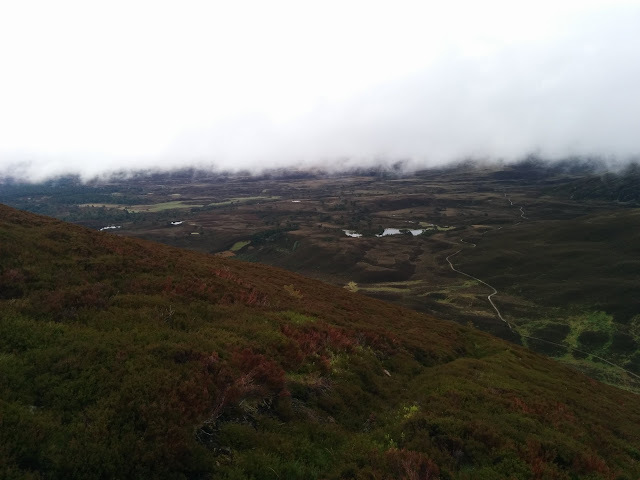 We took the the left hand fork, towards Nethy Bridge, and then upon reaching the Bothy at Ryvoan headed westwards and up, towards the summit of Meall a' Bhuachaille. 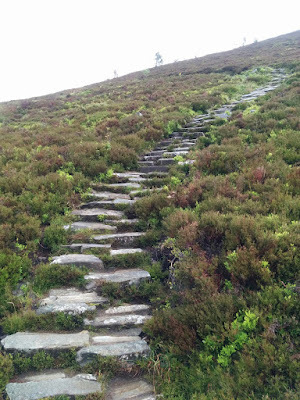 The path to the summit is, as all of the paths we walked on were as they are part of the nature reserve, very well maintained and this made the ascent to the summit slightly easier as it's a steep old climb! 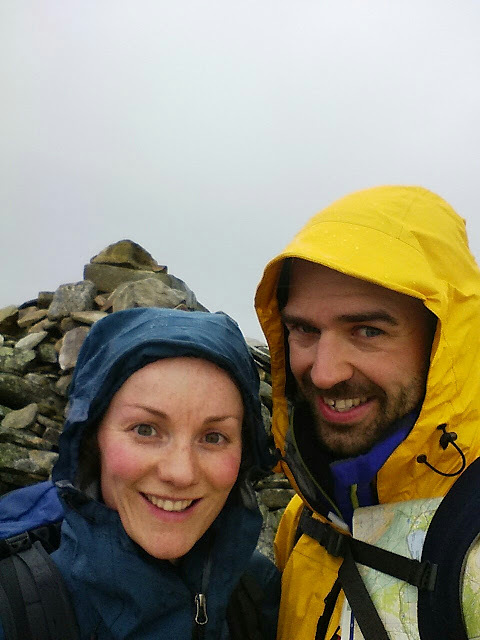 On reaching the summit we paused for the obligatory "summit snap", a hot drink and some food - and to remove waterproof trousers as the climb had made us a little warmer than we'd like! 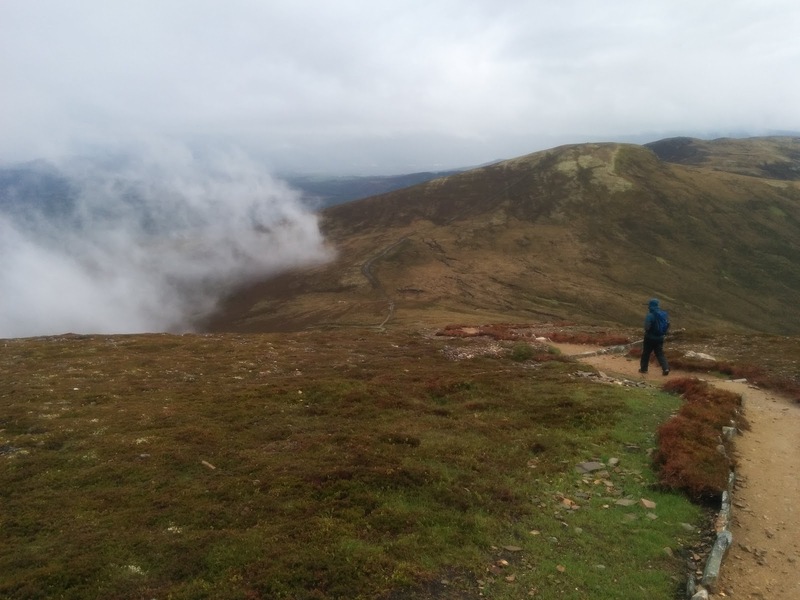 Heading down from the summit (into the cloud!) the path up onto the potential 2nd peak of Creagan Gorm looked rather boggy and uninviting so decided to give it a miss and continue the descent down again into the "Queen's Forest". Once off the hillside and back under the forest canopy we followed the course of the river (now fairly swollen and fast flowing due to the rain) and the, again, well maintained path that led back to the reindeer centre and, ultimately, the road. 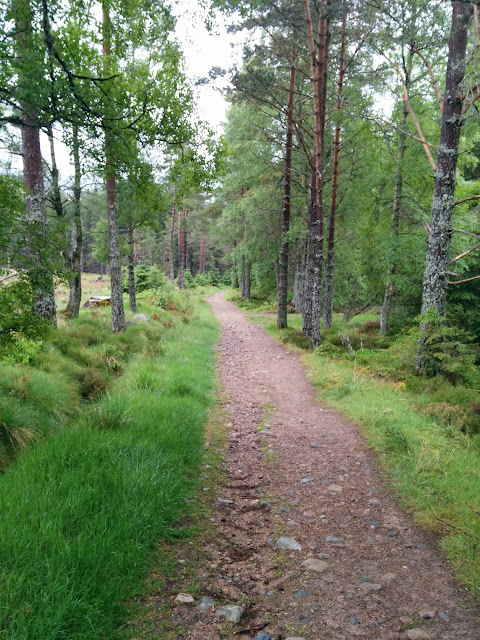 A nice walk all in all and made better by the long hours of daylight and that, aside from a few late dog walkers at the start of the walk and a couple leaving the bothy heading for Nethy Bridge, we didn't see anyone else on the walk. 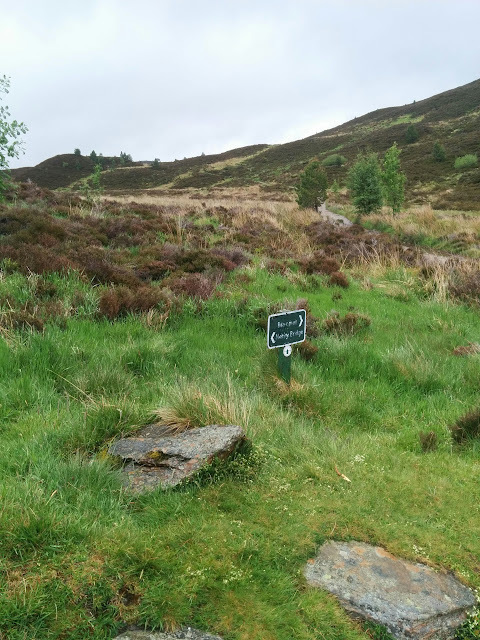 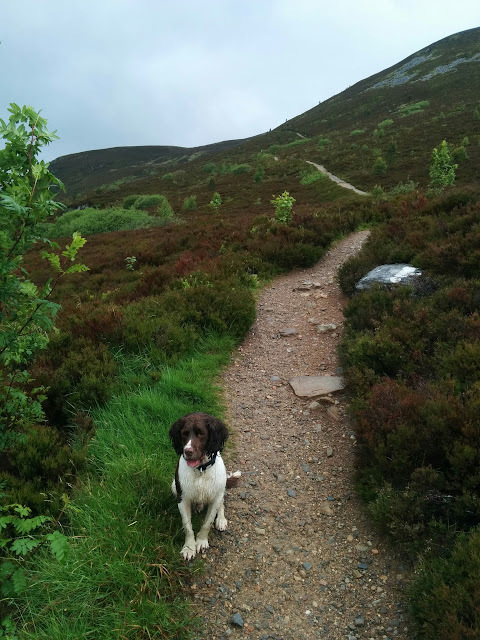 It's worth pointing out that although we didn't stop in, there is a pub at the Glenmore lodge that serves hot and cold drinks and food and welcomes walkers with dogs, boots and all! 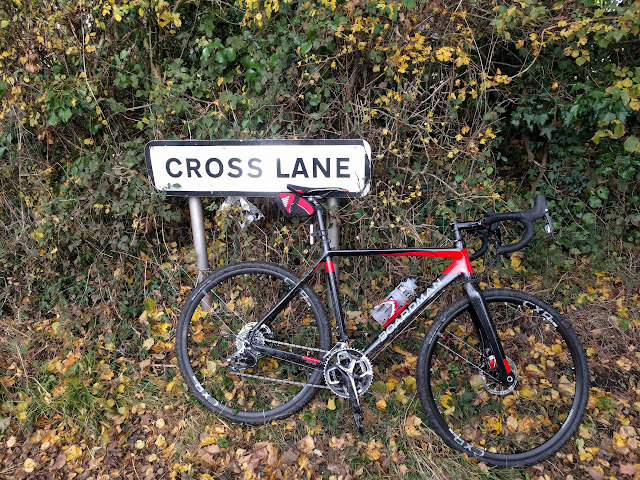 The Dell Challenge 2015 - ouch!